Ask fellow campers about "Lynx Creek RV Park" and nearby attractions. Really a self-service park, you find a spot and then in the evening they come and collect money. Mostly permanents when we were there and they not only park wherever they want but also allow their aggressive dogs to run loose (our dog was attacked). Access road is terrible lots of potholes and uneven road. Sites have a narrow pad but are spaced nicely. Sites are not really level, was able to find one just long enough (65') for my MH and TOAD. Nice grassy areas and river access (though muddy). This time of year yellow jackets are really bad. Also, dump station (no sewer at sites) is not well placed (next to restrooms in middle of park) and you probably will have to make laps around the park to use it. Since this is self serve and you won't see anyone until the evening the wifi userpass is RIVER1 (all caps). 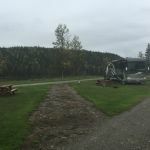 We camped at Lynx Creek RV Park in a Motorhome. Stayed here for the second time on our way to Fort St John. Easy access from the highway. A few minutes past Hudson's Hope. Easy pull thru spots by the river. Nice view. Quite location. Free fire wood. Free wifi, not super fast but very acceptable and reliable. Will come back for sure. Rate is 30 Canadian. 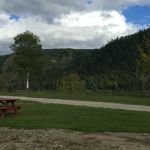 We camped at Lynx Creek RV Park in a Motorhome. Great place to stay. Large Lots on the Peace River. Very clean rest rooms. No sewer hookup's. We would highly recommend this site. 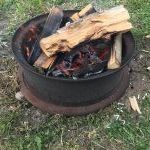 We camped at Lynx Creek RV Park in a Fifth Wheel. 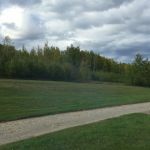 Are you affiliated with Lynx Creek RV Park ?